Now a days HelpChat Offers lots if Discounts on Recharges,Food Orders,Cab Booking & Much more. 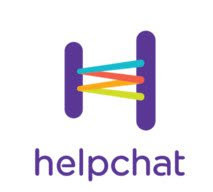 Now again helpchat has come up with New offer where user can Get 25 Rs Cashback On Recharge of 50 Rs Or More! So get 50 Rs Recharge in 25 Rs Only! - Valid for all new & old users. - Offer is not valid for Airtel Prepaid, Airtel Postpaid & Airtel DTH Users. - Offer can be availed once per day.